Although I love the concept of glitter sandwiches (jelly-glitter-jelly) I rarely do it. So I was particularly proud of myself when I did the manicure I’m showing you today: a sheer shimmer-glitter sandwich! Instead of a normal jelly polish I used a sheer shimmery polish which made for a very interesting look. 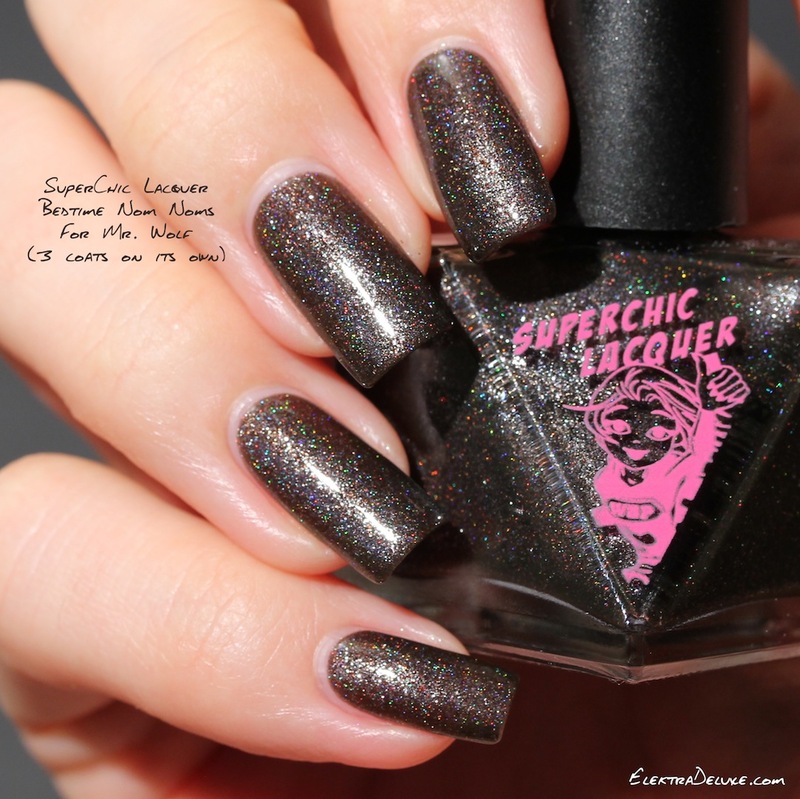 Superchic Lacquer Bedtime Nom Noms For Mr. Wolf is a sheer charcoal polish with scattered holographic and red shimmer effects. It takes 3 coats for full opacity. It’s a very complex and unique polish. 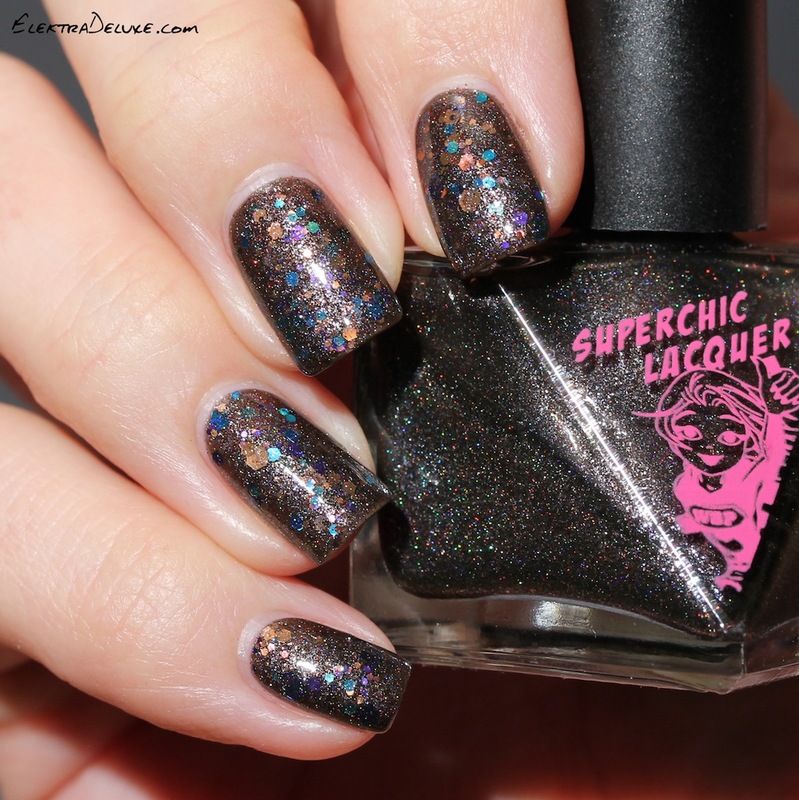 a sheer shimmer-glitter sandwich 😀 That’s a mouthful. And it looks awesome.